"Strong Waves, Calm Mind" one of the most important mental aspects of a fight to the stay calm in the midst of chaos. This comfortable 425gsm GI jacket is paired with the perfect 10oz lightweight ripstop pants to ensure full range and motion and comfort while fighting. 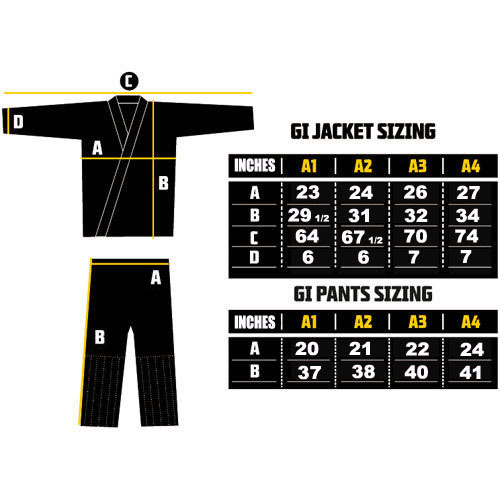 This is a tapered fit GI for optimal performance during competition. Fits true to size. Wash in hot water, dry with heat --> Shrink the GI and adjust it to your body type. Wash cold, hang dry --> To prevent extra shrinkage if you are satisfied with the fit.